Sorry to have been so quiet of late but real life hit me with a few stress inducing events, which slowed me down but haven’t stopped me. I read a few comments from people asking for a way to get Tracker, Witch, and Hunter all in one place, so I created an Omnibus Edition, which contains all three books. Because of the length of the combined books (around 650 pages) I had to look for someone other than CreateSpace to publish a print version. I chose IngramSpark to publish both the ebook and print versions and gained wider distribution especially for the print version. Since, IngramSpark works with local distributors to print and sell books, you should be able to order a print version from your local bookstore regardless of where in the world you are. You may also have noticed I’ve redesigned the covers of all three books with new artwork. The photography work is by Dan Skinner Photography and you’ll see more of Dan’s work on up coming books. 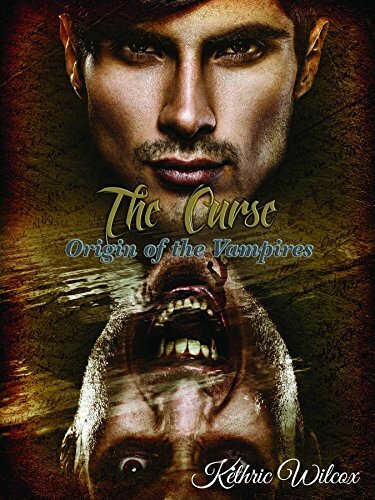 Now, I know many of you are eagerly awaiting the release of The Curse, book one of the Origin of the Vampires trilogy, which I originally thought would be happening this month. I sent the manuscript to my wonderful editor Shannon just after Thanksgiving and she’s a little swamped at the moment so I won’t get the first round of content edits back until just after Christmas. Hopefully, I won’t be ripping out chapters or adding scenes. I asked Shannon to make sure I have enough vampires and that I’ve given you enough clues to make the revel at the end of the book not seem like a bad Agatha Christie mystery reveal. Once I have those back and make the necessary fixes, the book will go back to Shannon to line edit and proofread. The target release date is Feb. 24, 2018. Watch this space and follow me on FaceBook, Instagram, and Twitter for more. If you’re looking for other great LGBT+ romance checkout Queeromanceink.com for other great authors.